It's always interesting to see how a low-volume brand uses its marketing dollars when launching a new product. In this case, we have Fiat which is re-entering the U.S. market for the first time after a 27-year brand absence. 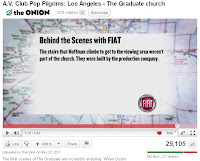 As part of their return, Fiat is sponsoring one of The Onion's properties called "The A.V. Club Pop Pilgrims." The popular satire publication The Onion is bringing more content opportunities as it expands its own brand and the A.V. Club is one extension. The A.V. Club "features real interviews, reviews, and other entertainment-related articles," according to their website. It's pretty safe to say that the A.V. Club is reaching a young, hip audience and is most likely demographically aligned to Fiat's intended audience. 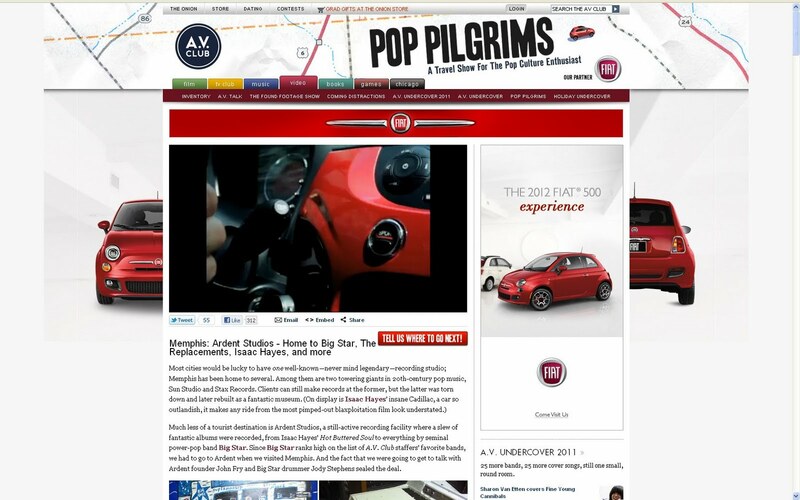 Fiat's integration includes a re-skinned website (see image above) and pre-roll ad units embedded within the A.V. Club's Pop Pilgrim episodes. Also of note is the physical use of an all-new Fiat 500 used for the video shoots where the A.V. Club drives around in 500 to get to all its video vignettes. 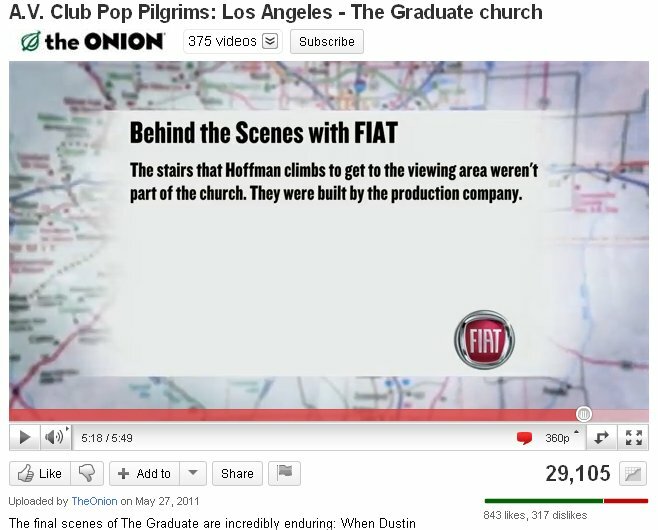 Overall it's a decent integration for Fiat and there are some nice touches including some summary parts of the video where the Fiat branding is very clear and unforgettable. 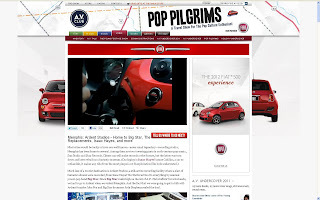 It's a great way to expose the car to Fiat's target and I'm sure aspirational audiences. different car model is entering the market nowadays. Most of this car features innovative specs which are a lot different from the same model before.